We gave you some classic, healthy comfort food recipes this week to satisfy all your cravings without ruining your health goals. First up was a crispy Buttermilk Oven-Fried Chicken that is only 264 calories a serving. Make this light, 30-minute Beef Stroganoff to satisfy your comfort food craving. Crispy Baked Fish Sticks with Homemade Tartar Sauce are perfect for the entire family. Crisp-Crust Chicken Potpie uses rotisserie chicken to make this recipe super easy and fast any night of the week. 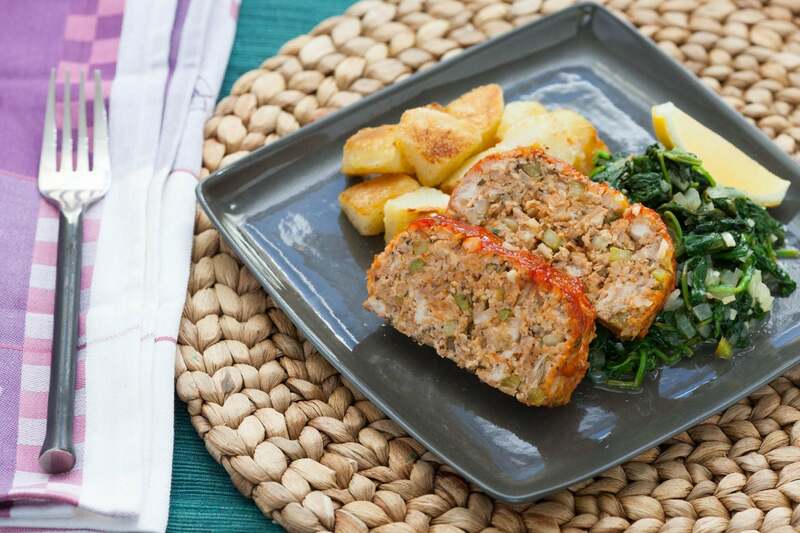 Turkey Meatloaf with Roasted Potatoes and Spinach is light version of the classic at 650 calories for the whole meal. This healthy version of the southern classic Shrimp and Grits is just 236 calories per serving. Try out this Chicken Parmesan recipe makeover from Cooking Light magazine that cuts more than 200 calories off the original. Follow us on Pinterest for more healthy recipes, anytime, anywhere.